You can spot the warning signs of feline leukemia virus, also known as FeLV, if you know what to look for. When the disease is detected early enough, you may even be able to take steps to lengthen the life of your cat. The warning signs vary for an individual cat depending on its health and where the virus is attacking. The animal may have a fever and swollen lymph nodes as well as the following symptoms. A cat may develop pale gums and/or a yellow color in the mouth. Some cats also develop stomatitis where their gums become very inflamed and ulcerated. It's easy to spot the warning signs of feline leukemia when the virus is settling in the chest. Your cat will develop coughing and other signs of respiratory problems. She may gag on the phlegm that is being produced. Wheezing and a runny nose or eyes is also common. When the virus settles in the abdomen, your cat may experience bloating and other signs of abdominal problems. There may be vomiting and/or frequent diarrhea which is usually accompanied by a lack of appetite. Feline weight loss is common. Appetite changes in a cat are always a reason for concern. In the case of FeLV these changes in eating habits are often the first symptom of the virus. Multi-centric leukemia (when the entire body is affected) can show itself in several ways. Typically, malignant tumors begin to grow in various parts of the body. This causes the immune system to stop working and your cat's overall health to deteriorate. She may show signs of listlessness, sleepiness or personality changes. Since the signs and symptoms of FeLV can be like other medical conditions, the best way to diagnose it is to see your veterinarian immediately. As the disease progresses, it's normal for your cat to suffer from other medical conditions due to their compromised health and it's easy for a lay person to mistake the secondary condition for the main cause. If you notice your cat having any of the signs of FeLV, take him in for a checkup right away so he can be tested. It is important to know your cat well so that if there are dietary sleep, or social changes, you will be aware of it. Sometimes the symptoms of Feline Leukemia come on suddenly, but many times they are gradual. When your cat changes gradually, they are more difficult to spot. Take your cat in to the vet as soon as you suspect she may be ill. FeLV is diagnosed with a simple blood test, and it is the only way to know for sure if your cat is sick. The sooner that your pet is diagnosed, the better chance she has at a long and happy life. While FeLV is deadly, making dietary changes and taking medications prescribed by the vet can help extend the life of your cat. Feline Leukemia Virus is a virus that can go undetected in the immune system for months and even years before it begins causing a problem. In fact, not every cat that has the virus will get feline leukemia. FeLV is very contagious and is the second biggest cause of death in cats. It is responsible for at least 30 percent of malignant tumors in felines. 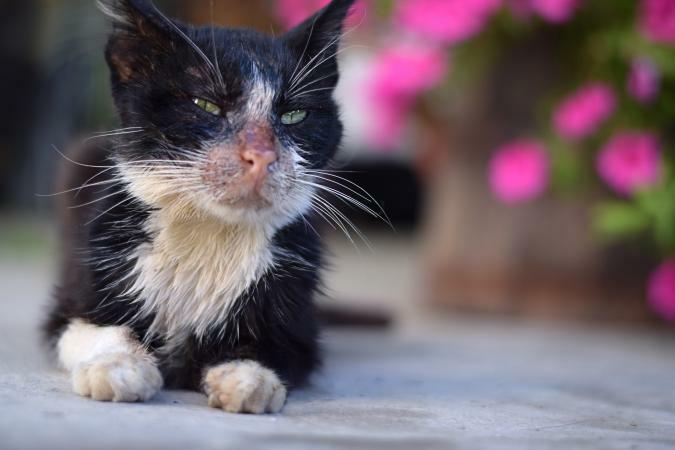 The virus is spread through the saliva of the infected cat through sharing food, water, or litter boxes or when cats groom, play with or bite each other. The warning signs of feline leukemia are subtle and sometimes difficult to read. It's important for all cat owners to be aware of this pernicious disease and the signs your cat may be at risk. 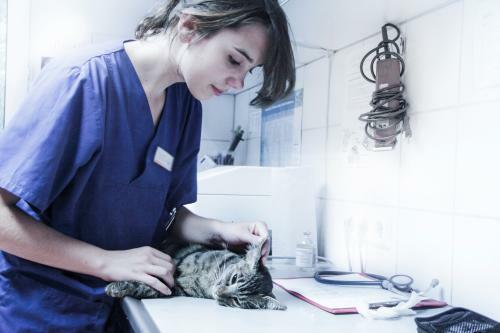 If you have any concerns about your pet's health, take your cat to the vet for an evaluation immediately.